A complete Web Based Room Scheduling system for the effective booking and management of your facilities and resources! 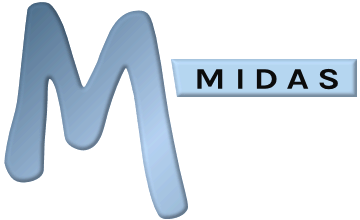 MIDAS is a powerful yet easy to use web based booking system giving you complete control over your room bookings and resource scheduling, and trusted by organizations and businesses of all shapes and sizes around the world. Accessed from your favorite web browser, on your desktop, laptop, tablet or mobile device, the software lets you see at a glance when your bookings are scheduled in the calendar, manage staffing and equipment, send booking confirmations, reminders and invoices to clients, take bookings or booking requests through your public website, and put an end to double bookings and confusion once and for all! As all you need is a web browser, MIDAS is readily available wherever you are! - Whether at the office, at home, or on the move - the information in your room booking system is right there at your fingertips! MIDAS software is available as either a cloud hosted SaaS (Software as a Service) solution, securely accessible online through a dedicated *.mid.as sub-domain for your organization, or it may be downloaded, installed, and run from your own server (our self-hosted, "on-premises" edition). ...anywhere with facilities to schedule!